Manufacturers use a variety of woods to build ski cores, most incorporating a combination of two or more to hit a balance between weight and strength. But as Moment Skis CEO Luke Jacobson says, "The wood core will change the way the ski feels as far as dampness or liveliness, but it also depends on how much carbon and fiberglass the ski has. It's how you mix the ingredients that will be the biggest difference." 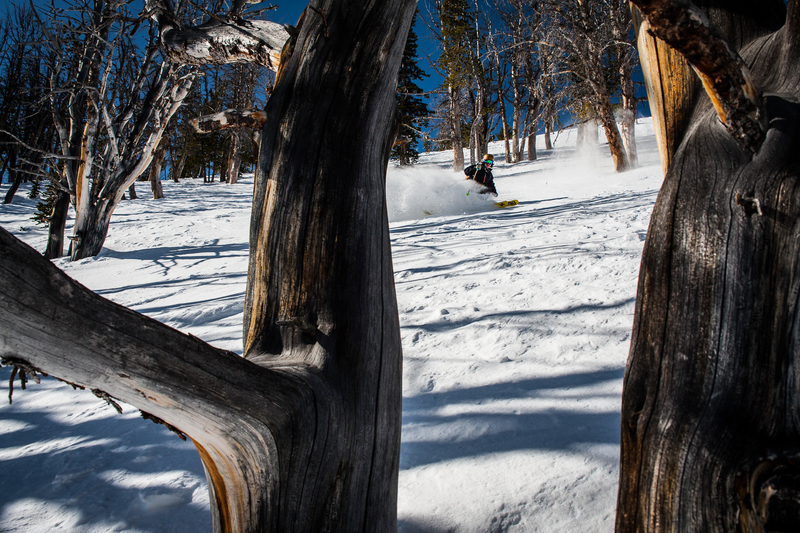 Maple: Like ash, maple is lauded for its density and durability and forms the guts of many big mountain skis. Where it comes up short is in its elasticity or forgiveness, which can be a good thing if you like damp, quiet skis. It is also used underfoot for binding retention. Fir: Lighter than maple but heavier than aspen, fir is used for dampening, pop, and binding retention underfoot. Aspen: Lightweight with high energy, aspen is often used to complement denser woods to reduce the overall weight of the ski without sacrificing durability. Poplar, another common material in wood cores, has similar characteristics to aspen. Paulownia: A flowering tree native to eastern Asian, paulownia is springy and lightweight. You'll often find it in backcountry skis or complemented with metal or carbon to increase its strength. Bamboo: Technically a grass, bamboo is very light. The drawback of using a full bamboo core, according to Jacobson, is that it requires a lot of glue to hold it together, which adds weight. Many brands incorporate bamboo as stringers for strength and pop. "But what's cool is that you can bend that stuff so far," he adds. "It's a lot stronger than normal wood, giving you a really round and deep flex."